I am posting a link to this new, fast paced book Pipeline by Peter Schechter. The plot is not too far from reality when applied to our energy crisis today. The United States in having a huge natural gas crisis, and is at odds with Russia. One of the main characters is Tony Ruiz, son of Mexican immigrants and an aide to the President of the United States is struggling to help the president. 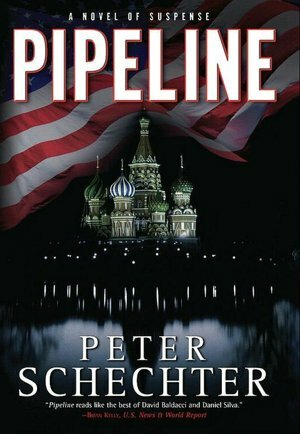 Russia is behind the scenes withholding natural gas from the United States, kind of like a puppet master manipulating countries all over the world to keep them from giving natural gas to the U.S. Los Angeles is the first city to shut down, and then eventually the entire state of California comes to a stand still with no natural gas to keep the states electric companies going. One can only imagine the chaos that would ensue if this country had no electricity to power our cities. Imagine, no water, no gas, no electricity, no food, no farming, this country would be back in the stone ages. The rush is on to solve the situation before the country ends up in total chaos. You can find this book through Barnes and Noble or Amazon. I have provided a link above to Barnes and Noble. It is a book that I would definitely recommend for a summer read. I would love to hear what books you plan on reading for the summer, and what books you are reading now.